Nearby points of interest are the Mall of Georgia, Lake Lanier, the Gwinnett Braves Stadium, downtown Buford, and Suwanee Town Center. This neighborhood features miles of wooded hiking trails, Lighted tennis courts, volleyball court, playground, 3 swimming pools, and a rustic log cabin style clubhouse. Wild Timber also borders national park land with access to the Chattahoochee River. Wild Timber is served by the Gwinnett County School System and is located in the highly desirable North Gwinnett School District. North Gwinnett High, North Gwinnett Middle, and Riverside Elementary are the schools zoned for the community. 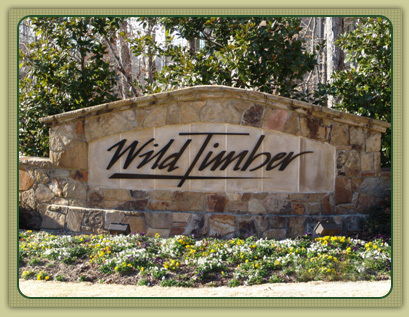 The homes available for sale in Wild Timber Subdivision are listed below.